Changing Careers, Going Back to School, etc. A big question that comes up often in the context of divorcing couples with children is how child support will be calculated in their case. This may be particularly the case in the midst of difficult economic times, with homes and assets losing value, and job loss often a concern. Unfortunately, and perhaps particularly so when calculating child support in the recession, the answer is sometimes not as straightforward as one might think, and multiple factors and decisions could come into play. Federal law has required states to come up with "guidelines" for calculating child support, but these guidelines have different formulas and vary widely from state-to-state. Still, the guidelines generally consider one or both parents' income(s), the number of children, and sometimes other factors such as the particular needs of children (e.g. health, education, etc.) and their pre-divorce standard of living. Some states will also consider income that isn't currently being received, such as Individual Retirement Accounts (IRAs) or capital gains from stock transactions, many of which could very well be down in value for now, but rising later. However, the rules on such "unrealized" income vary fairly widely. Something that may be of particular concern these days is what happens if a parent has lost their job or is in the midst of a career change? May a court consider someone's recent or potential "ability" to earn as opposed to what they are actually earning? Many states do allow such inquiries because the law's priority may be that a family's children get taken care of, and a parent's desire to change careers and/or go back to school might be of secondary importance. Of course, a parent's getting laid off or not being able to find a job despite their best efforts would not necessarily fall into the same category. As listed above, unemployment payments may be included in a person's income for calculating support. 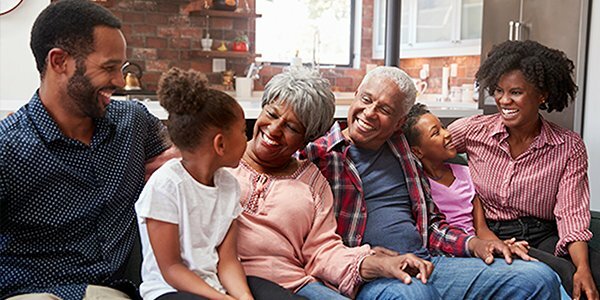 When it comes to maintaining the family's standard of living, this factor can be a little misleading to the public, which often hears about it in the context of high-asset divorces. As far as child support in ordinary cases goes, courts do recognize the difficulties in keeping up two households, as opposed to just one. As a final note, the custody determination itself can affect the equation too, because if divorced parents have joint physical custody it could mean that neither parent has to pay support to the other. It should be noted that this is different than joint legal custody, which simply affects how major decisions about a child are made. Below are some more helpful resources and information on the topic of child support, plus some links that can guide people to more specific information on specific state laws.